I've been renting here for years, best location in town. I use my unit weekly - easy in and out! I have had this unit for several years and pay in advance for the entire year. for 2 years in a row at the end of the year my unit is locked. first time no invoice sent out, no notice, just locked. 2nd yr invoice sent out check is cashed, locked. have to jump thru hoops to get a hold of someone to open it. Sue the office manager is far from effective. Worse yet the gravel drive is always in need of grading and don't even think about getting into your unit during the winter months without a chisel and an hour to spare. Snow is plowed up to block the doors and to add to it the ice comes off the roof in sheets to create a knee high wall of ice/snow. Would not recommend this storage building to anyone. 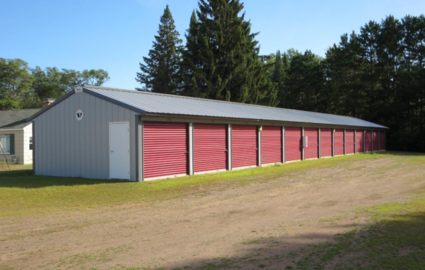 Our easily accessible and affordable Woodruff, WI storage facility serves the residents of Woodruff, Arbor Vitae, Minocqua, Lac Du Flambeau, Hazelhurst, Sayner, St. Germain, and Rhinelander, Wisconsin. 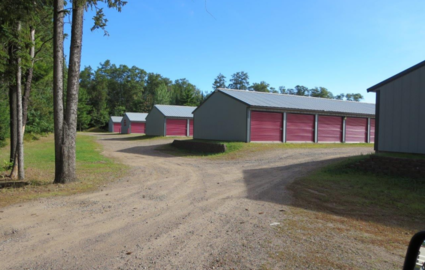 We have easy drive out access to snowmobile trails and wide spaces at our storage facility to maneuver boats, RVs, and snowmobile trailers. If you frequently vacation in our area we can help keep your belongings safe and secure when you are out of town! When you rent from us, you’ll enjoy 24-hour access to your belongings so you can come and go as you please. Our drive-up self storage units make moving in and out easy because you won’t have to haul your boxes or furniture up flights of stairs. We also offer storage solutions for boats, cars, RVs, and other vehicles. We are located just east of the intersection of Highways 51 and 47, on Balsam Street. If you are coming to Woodruff from Minocqua, you can easily spot us right next to the Woodruff Ace Hardware. 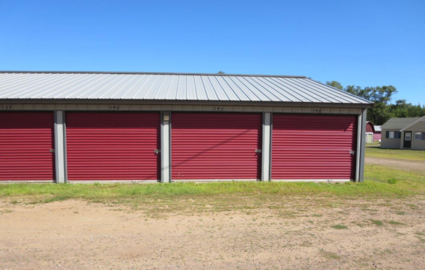 Stop by our storage facility in Woodruff, Wisconsin or call us today so we can get you in the perfect storage unit for your needs. We look forward to meeting you! And Receive One Month FREE! © 2019 Old 51 Stor All, partners and affiliates.